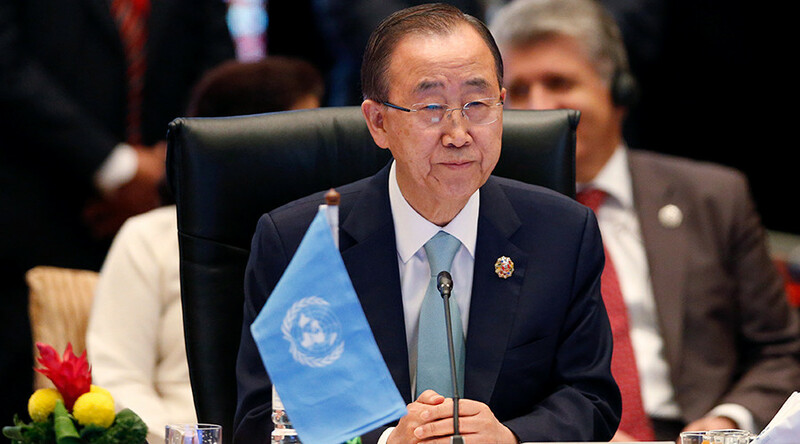 The UN Secretary General Ban Ki-moon has called on Russia and the US to join their efforts to combat terrorism. 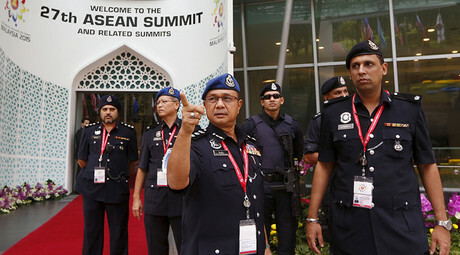 He told the annual East Asia Summit in Kuala Lumpur that terrorists and ideology extremists must be "defeated in the name of humanity." "In that regard, we need to unite. We need to show global solidarity to address the common enemy of ISIL, Daesh, some other extremists and terrorist groups," Ki-moon said, referring to Islamic State. The UN Secretary-General stressed that he "highly commended the leadership of the Russian Federation together with the United States to address some of the root causes of terrorism," Reuters reported. He said that the United Nations is currently assembling information and gathering ideas and experience from its member states. Early next year, the UN is going to present a “comprehensive plan of action to defeat violence and extremism," Ban said. Ban's words echo an appeal by Russian President Vladimir Putin, who said on Saturday he wanted global cooperation to combat terrorism after Islamist militants killed 19 people, including six Russians, in an attack on a luxury hotel in Mali earlier this week. Russian Prime Minister Dmitry Medvedev has also noted that countries with large populations of Muslims, Russia among them, should team up to fight against ISIS. "We need a consolidated anti-terrorist position of those countries that have a large Islamic community, and incidentally Russia is one of these countries," Medvedev told the annual East Asia Summit. President Barack Obama has vowed that the United States and its allies would hunt down Islamic State's top brass in an effort to cut off the group's financing. "Destroying [Islamic State] is not only a realistic goal, we're going to get it done," Obama told a news conference after the summit. "We will destroy them. We will take back land they are currently in, take out their financing, hunt down leadership, dismantle their networks, supply lines and we will destroy them," he said. The US leader noted that it "would be helpful" if Russia directed its focus on tackling Islamic State. In fact, Russia has been conducting dozens of sorties against Islamic State and other extremist targets in Syria on a daily basis since September 30, after an official request was made by President Bashar Assad. The US has been meanwhile criticized for failing to halt the growth of IS despite a year of airstrikes. Until this week, the US-led coalition refrained from bombing the oil trade “lifeline” of Islamic State. Russia, in contrast, has destroyed some 500 ISIS tankers over the past few days, disrupting the flow of illegal petrodollars to the terrorist group, which, according to Russian President Vladimir Putin, is selling oil to some 40 states. On top of this, over 600 terrorists were also killed in airstrikes involving cruise missiles in Syria’s Deir Ex-Zor province, Russian Defense Minister Sergey Shoigu said. Despite these achievements, US State Department spokesman John Kirby said Friday that Russia is not welcome to join the US-led coalition in Syria, as France has proposed, until it changes its “focus” and stops “propping up” President Bashar Assad.